For over two decades, on the “last Saturday of April,” in 100s of cities in over 80 nations, spanning 6 continents. World Tai Chi & Qigong Day mass teach-ins and exhibitions have been held around the planet all on the same day. Creating a worldwide wave of Tai Chi and Qigong from New Zealand across each time zone to the west. The purpose of World Tai Chi Qigong Day is to spread health, calm, peace and well-being across the planet in order to raise awareness of the potential of Tai Chi and Qigong to improve health and quality of life. 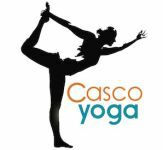 Casco Yoga will be a Panama venue for World Tai Chi Qigong Day 2019 introducing you to the flowing practice of Qigong and an easy Tai Chi routine. Join us with millions of others across the globe doing Tai Chi and Qigong as ONE WORLD….ONE BREATH. 30 years ago, Brenda was introduced to Tai Chi and Qigong when she moved to Taipei, Taiwan. Since then, Brenda has studied extensively with Qigong masters Lee Holden, Roger Jahnke and Deborah Davis as well as masters in Malaysia, and most recently in Mainland China. Prior to moving to Panama in 2015, she offered Qigong classes to the expatriate population in Shanghai and taught Tai Chi and Qigong at the Omega Institute for Holistic Studies in New York. She has also taught Tai Chi and Qigong in Malaysia, Ethiopia, Aruba and Venezuela.